The former Faith No More frontman is back! 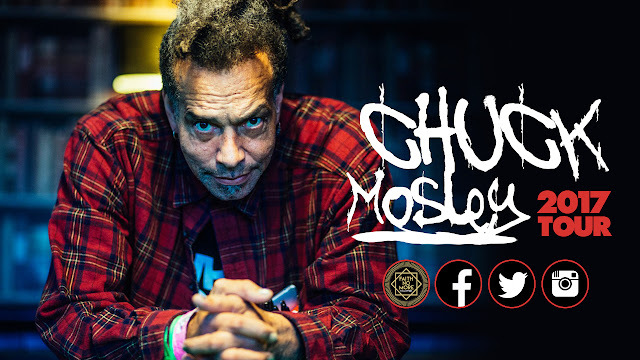 Chuck Mosley will be touring in the U.S this summer. 2016 was a great year for Chuck. His acoustic show toured The States, United Kingdom and Paris, plus he was joined by Bill, Roddy, Mike and Jon in support of the We Care A Lot reissue for two nights in L.A and S.F. This summer Chuck will be on the road again. Joined by his partner in crime, percussionist Doug Esper, they already booking dates in the U.S for this summer. You can follow Chuck on Reverb Nation now for exclusive content (photos/live tracks/show announcements). With more to come, here are the confirmed shows so far.